Certified by the State Bar of California Board of Legal Specialization in Family Law, Ms. Bickford practices exclusively in the area of family law helping clients with divorce and separation in San Diego. 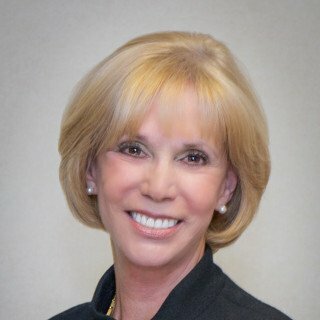 Ms. Bickford is a graduate of California Western School of Law where she received honorable recognition for outstanding achievement in the areas of community property, taxation and civil procedure, as well as a West Publishing Award in recognition of her overall outstanding scholastic accomplishment. Ms. Bickford received her Bachelor of Science from Miami University, with a dual major in Systems Analysis and Mathematics. San Diego divorce attorney Nancy J. Bickford earned her Master's in Business Administration from Golden Gate University in San Francisco, and went on to pass the test to be certified by the state of California as a Certified Public Accountant. She worked for Arthur Andersen & Co. in San Francisco where she gained expertise in auditing various types of businesses and financial institutions. Ms. Bickford left Arthur Andersen & Co. to work as the controller for a privately run firm operating hotels and real estate investments. Following her involvement in the hotel and real estate investment business, Ms. Bickford returned to school to study law. After receiving her Juris Doctorate degree, she was admitted to practice law in the United States District Court Southern District of California and in all courts in the state of California. Ms. Bickford was immediately attracted to providing divorce help in San Diego, where she has found the perfect cross-over that allows her to pursue her passion for the law while also utilizing her financial and business background. Ms. Bickford is the only attorney in San Diego County representing clients in divorce, who is a Certified Family Law Specialist and who also is actively licensed as a CPA.